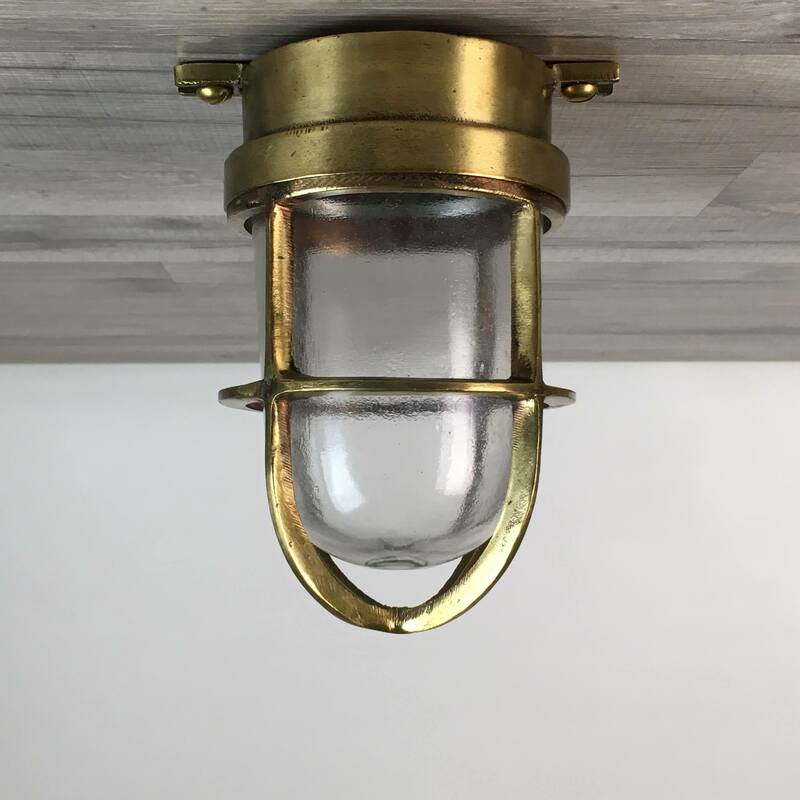 This weathered brass nautical bulkhead light measures 10 inches tall from the top of the wall mount to the bottom of the cage. The wall mount measures 3 3/4 inches wide and has four mount holes. This light weighs about 5 pounds. This light is weathered, has significant patina and has not been polished to a bright shine like most of our lights. This light has been rewired with all new UL-listed components, including a ground wire. The new bulb holder takes a normal screw in house bulb of 75 watts or less. The new wiring will work with any voltage under 250 volts. 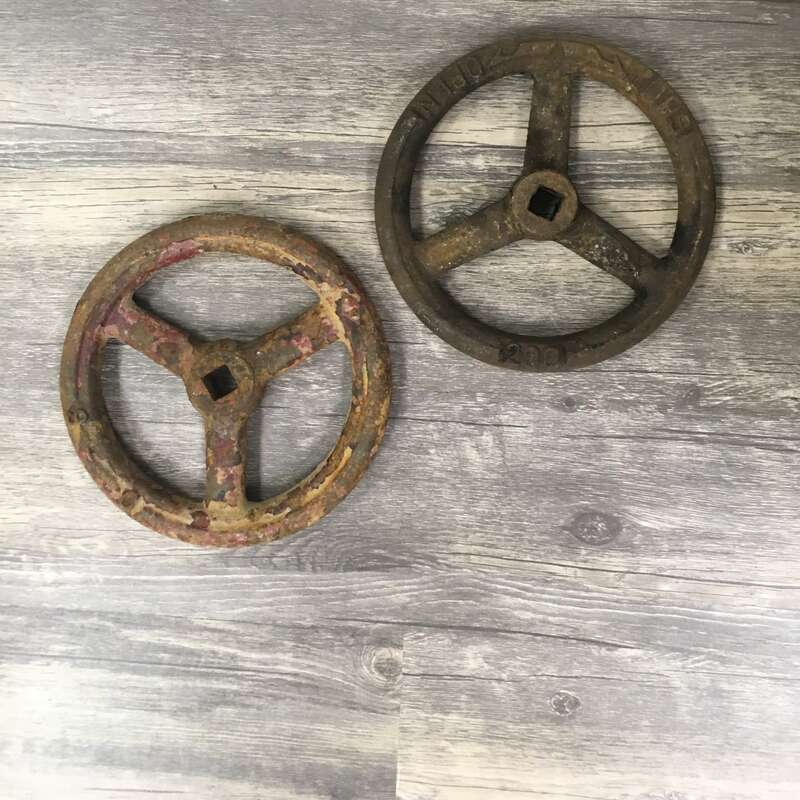 You will be shipped the weathered brass nautical bulkhead light shown in the photos because, we take new photos for each listing.